2017 marked the twenty-fifth anniversary of the establishment of the Centre for European Legal Studies as a research centre of the Faculty of Law. Across its twenty-five years of activities, CELS has provided a platform for research, discussion and dissemination of scholarly work within the broad field of European Legal Studies (ELS). ELS encompasses: public and private law analyses of European legal developments, including the impact of European law in national law; comparative European law; the law of the European Union; the instruments of the Council of Europe; and other regional and global legal regimes that interact with European legal sources. The breadth of its field of enquiry is matched by the depth of analysis provided by its members, affiliates, associates, research students and visitors. The mission of CELS remains unchanged even after the ‘Brexit’ referendum decision. The demand for expertise and knowledge about the many facets of European law is, if anything, heightened following the referendum. 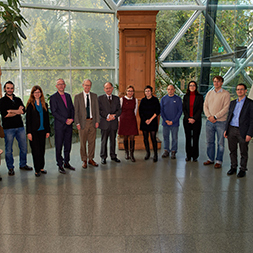 CELS members are active in lending their knowledge and understanding of the consequences of the referendum decision not just to policymakers but also to the media and the public, as well as to the broader academic community. 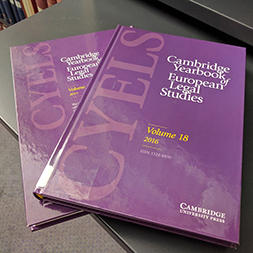 The changing preoccupations of the field of ELS continues to be reflected in the Centre’s flagship journal: the Cambridge Yearbook of European Legal Studies published by Cambridge University Press. Published continually online and annually in print it is an important contribution to European legal scholarship. The Centre for European Legal Studies brings together a broad community of scholars with research interests and expertise spanning a wide range of fields of European and comparative legal enquiry. Our range of experts are the authors of leading research monographs, texts and articles published by the major academic legal publishers, and are also involved in the editorial boards of many law journals in the field. 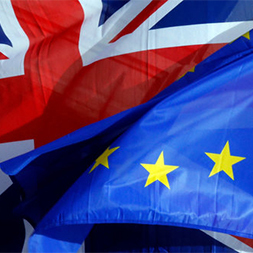 Members of CELS are well-positioned to explore the UK's changing relationship with the EU as a result of the outcome of the referendum on EU membership, and will continue to contribute to policy as the situation develops. Please join the mailing list to receive occasional updates about CELS news and upcoming events.